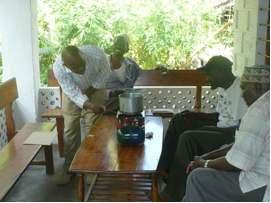 I am indeed happy to share some the test results of our Jatropha Hybrid stove. 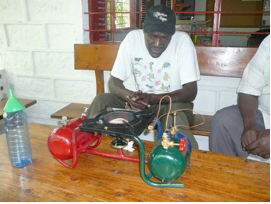 I recently heard from John Y. Salehe, Ecoregion Leader, Eastern Africa Coastal Forest Ecoregion Programme, WWF Eastern Africa Regional Programme Office (EARPO) about the initial results on the testing of the hybrid stove in Kenya. EARPO is an organization in East Africa with a mandate to establish sustainable energy alternatives among other things. Read more about them here.. They had expressed interest in our model of Hybrid stoves because it is a good match with their mission. They just sent me some initial test results. I am happy to reproduce the “topline” test results … while I wait for a more detailed test report from them. I believe these test results will help us in improving the quality of the stove. The usage of the stove varies from region to region and we need this kind of feedback to make sure that the stove meets the specific needs of that region.